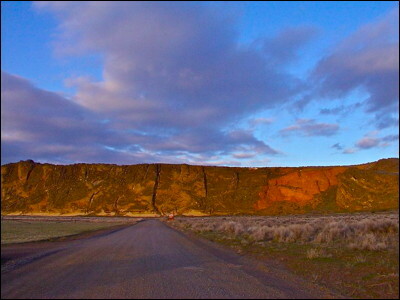 Koomookumpts' Bed is the center of the Modoc universe in northeast California. It was here that Koomookumpts, Modoc creator, made the world from the water of Tule Lake. The actual "bed" is located on top of the rock, and this is where Koomookumpts sleeps. One day he will wake up and bring the world back to the way it was in the Old Time. Petroglyphs along the base of the rock tell the story of this place and of the Modoc people.